Acid reflux occurs when acid from your stomach backs up into your esophagus. Your stomach produces hydrochloric acid to help you digest food, but when that acid gets in your esophagus, it can cause a lot of problems. Everyone has a gastroesophageal sphincter– a loop of muscle that normally protects your esophagus from being burned by stomach acid. If you are experiencing persistent acid reflux, it means that your valve may not be operating properly. Acid reflux is a very common disorder; it’s actually the most common complaint gastroenterologists in the US hear from their patients. 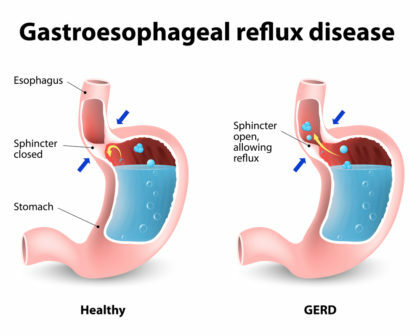 Everyone has symptoms of acid reflux occasionally, but if you experience it twice a week or more, you should see a gastroenterologist, because it could be GERD– gastroesophageal reflux disease.